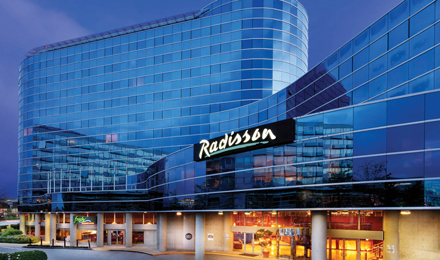 Following a stunning, multimillion-dollar total hotel renovation, the new iconic Radisson Blu Minneapolis Downtown has been dramatically redesigned to mirror the buzz of downtown Minneapolis. Travelers are just a few blocks from popular attractions, world-class shopping and the business district, making it easy to see the best of area and still enjoy upper-upscale hospitality and modern, comfortable guest rooms. With an award-winning restaurant that focuses on local, sustainable food and on-site amenities that include a state-of-the-art fitness center, you may have a hard time finding a reason to leave. Choose our hotel's location in downtown Minneapolis for the hottest new destination in the city. Inspirational Blu. Lucky you! Within just a few blocks, you'll find Target Field, Target Center and the theatres of Hennepin Avenue. Each of the 360 guest rooms are non-smoking and include Free high-speed Internet access, Lavazza coffee, laptop safes and refrigerators. The renowned FireLake Grill House & Cocktail Bar serves Midwestern fare with a modern, wood-fired flair that can also be enjoyed in the comfort of your room. On-site services like 3-Hour Express Laundry, dry cleaning, a 24-hour business center and a multilingual staff make your visit more convenient. Motivate colleagues, persuade clients and wow guests with meetings and events in our flexible, 29,000-square-foot function space. At the Radisson Plaza, you can choose from 360 well-appointed downtown Minneapolis hotel rooms, each designed to offer you a relaxing home base for your stay. After a long day of meetings of sightseeing, return to your comfortable guest room, where you will enjoy modern styling and convenient amenities like complimentary high-speed Internet access, HDTVs and granite bathroom vanities. Looking for great hotel deals in Minneapolis? The Radisson Plaza offers rooms and suites to meet every taste and budget, with luxurious amenities that enhance your visit. Pets are allowed. Radisson is proud to present FireLake Grill House & Cocktail Bar, where you can savor award-winning cuisine made from locally grown ingredients. 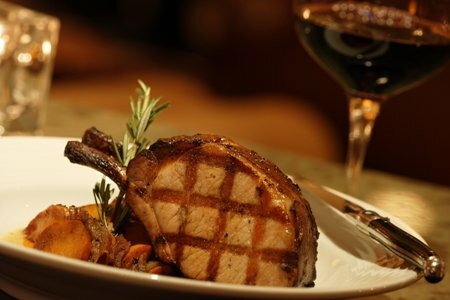 FireLake is getting rave reviews for its exquisite dishes, relaxed atmosphere and stylish design. This popular restaurant is located just off the lobby and offers an exciting exhibition kitchen with a hickory rotisserie, a brick oven and a mesquite grill. Reservations are recommended. There are eight craft beers available on tap in addition to a wide variety of local bottle beers. The creative wine list offers 17 wines by the glass with a flavor for all tastes, and classic and signature crafted cocktails are made with care by the talented, engaging team. The bar is open daily until late. Happy hour is well-known by the Minneapolis locals. Enjoy ½ off appetizers, $4 pints, $5 cocktails and $6 glasses of wine. Hours are Monday-Friday, 4-6:30 p.m.
Visit the FireLake Grill House & Cocktail Bar website to view the full menu and to make online reservations. For phone reservations, call +1 (612) 216-FIRE (3473). If you prefer to dine in the comfort of your own room, take advantage of the Radisson Plaza Minneapolis, Minnesota hotel's in-room dining menu, available daily from 7 a.m. to 11 p.m.